Preston North End’s derby joy against Blackburn this season has aligned interestingly with that of 40 years ago. This victory at Ewood Park saw PNE complete their first league double over Rovers since the 1978/79 campaign. Both home games were won 4-1, both away matches finished in a 1-0 victory. Saturday’s early winner from Daniel Johnson even came at the same end of the ground where in March 1979 Alex Bruce volleyed Preston to victory. For the present-day North End side, this was a fifth away win in a row – done in front of a 7,514-strong travelling support. What a sight that was, the Darwen End packed to the rafters. For any team to take more than 7,500 to an away league game, whatever the distance, is some going. The travelling fans didn’t see a classic game by any stretch of the imagination but it was very much job done in terms of bringing the points back down the M65. Once Johnson had finished off a sweeping move which went from one end of the pitch to the other, PNE’s approach was to protect that lead. They dropped in, allowed their hosts possession in areas where it wasn’t going to hurt and then defended their box very well when that became necessary. In Ben Davies, North End had the game’s best player by some distance. He won plenty in the air, saw danger early and nipped in front of the Rovers attack to intercept. This was certainly a win to put in the ‘ground out’ section of the season. Victories come in all sorts of shapes and sizes, and while the ones against Norwich, QPR and Millwall of late have thrilled us, the type we saw in East Lancashire brought the same reward. Let us not forget that PNE won this one under-staffed in respect of key players being missing. We knew Ben Pearson was going to miss this one through suspension but the absence of Brad Potts was a late blow. Potts got a knock in Friday’s training session and the nearest he got to the action was a seat among the fans in the away end. With Tom Barkhuizen missing too through injury, that was three regulars on the sidelines to the add to the longer-term absentees. Yet North End coped as Alex Neil dipped into the squad to good effect. He brought Lukas Nmecha into the side, the Manchester City loanee repaying that faith by setting-up Johnson’s goal. Brandon Barker and Joe Rafferty came off the bench later to play their part. Barker had not featured in the first-team squad for the best part of two months. Back in from the cold he came to help PNE see out the game, using his pace to good effect. Rafferty was summoned in stoppage-time when Darnell Fisher was sent-off. 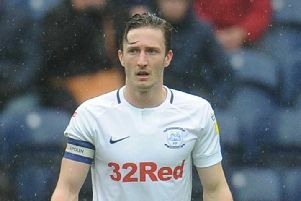 Fisher walked for getting two yellow cards in the space of 11 minutes, the right-back void filled by Rafferty who at last got his Preston debut after a seven-week wait. Being a man down for the last three or four minutes of added-on time, was not to hinder PNE. It is 10 games unbeaten now and the stand-out statistic within that run is the five away wins. 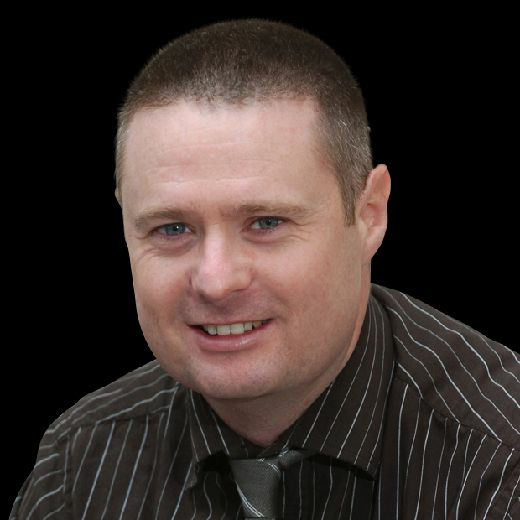 Blackburn join QPR, Stoke, Bolton and Millwall in being beaten on their own patch by Neil’s men since January. The run has seen Preston join the play-off race, with them now just four points off sixth place. For a side which sat bottom of the division at the beginning of October, that is some going. They are going about their task out of the spotlight, that instead being shone on the clubs with more brass sitting just above them. That suits North End, with their climb up the table going relatively under the radar. The heat is on the teams above them it would seem, West Bromwich Albion the prime example as they called time on Darrren Moore’s time in charge on Saturday night. He paid the price for WBA being in fourth place rather than challenging for one of the team automatic slots. PNE would be happy for that kind of noise above them to continue while they quietly go about their job of trying to close the gap. It was just gone noon when they effectively settled this early kick-off in their favour. Seven players featured in the goal which saw the ball go from PNE’s six-yard box to the net at the far end. Declan Rudd’s pass went to Jordan Storey who played a short ball to Ryan Ledson. The midfielder’s pass went to Paul Gallagher who’s fine first-time ball took out two Rovers players to find Alan Browne. He played the ball down the right channel to find Nmecha who showed a clean pair of heels to Derrick Williams. Nmecha powered on and squared a pass to Johnson who drove a first-time shot into the roof of the net from eight yards. The aim then became to protect the lead and try to get another goal on the break. If the truth be told, North End didn’t get their passing game together, certainly not to the standard they had done for the goal. That was a contributing factor to Blackburn having more of the ball, in the fact the visitors gave possession away a bit too easily at times which invited pressure. Much of PNE’s attacking play went down their left side, with them seemingly seeing the area between the right wing-back and centre-half as one to exploit. Rudd made a decent save in the first half to push behind a header from Danny Graham. He bettered that late on in the game, plunging to the foot of the near post after a cross from substitute Amari’i Bell had clipped Ledson on the foot and sped goalwards. It was a foul on Bell for which Fisher was sent-off in the 92nd minute. Having been booked for a coming together with Graham 11 minutes earlier, a second yellow was followed by red. Thankfully it was not to mar the day, PNE able to see it through and send home the travelling army in good voice. Bragging rights in the bag, now it’s on to Middlesbrough on Wednesday.